Mexico’s World Cup 2018 campaign came to an end at the same stage as the previous 6 World Cup campaigns. Back from their 6-month, intensive Walter Mercado business, life, and love sabbatical, the Gentlemen review Mexico’s campaign and provide what Mexico fans can expect for the next World Cup cycle. 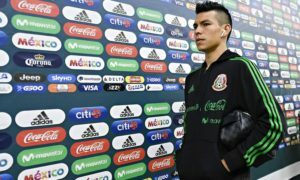 John Jagou: After the World Cup draw in December, Joel, conventional wisdom said Mexico would advance out of the group stage but crash out in the round of 16. Sure enough, that is exactly what happened for Mexico, and it wraps up what proved to be a bittersweet overall performance. JJ: You cannot fault Mexico fans for getting stars in their eyes after the way Mexico started the World Cup. The win against Germany was historic, and it was as good a performance as Mexico had ever given at the tournament. 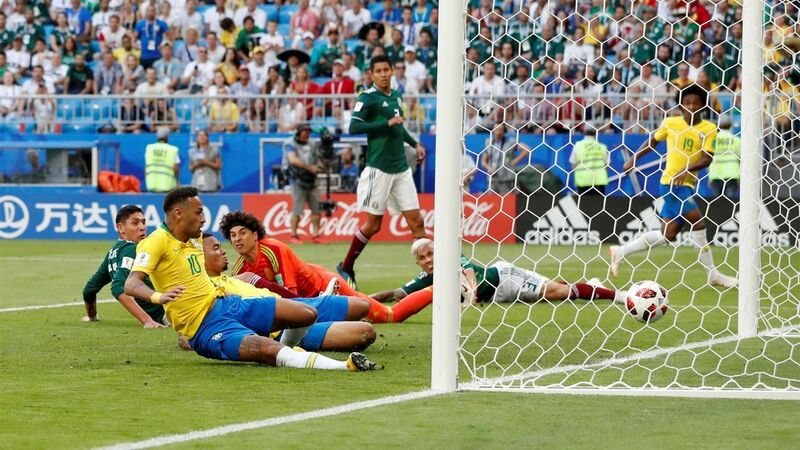 The match against Korea saw Mexico play well enough to really do some damage, but for some reason, the players were ready to clock out after scoring their second goal. Even Juan Carlos Osorio in his post-game comments said he wished the players were more assertive on offense. What ended up happening was Mexico let their guard down enough to let Korea back in the game, albeit late. But it also set the tone for the rest of the tournament for Mexico. The lack of intensity was palpable against Sweden. The Swedes won comfortably. Mexico showed a little more gumption against Brazil, but the boys in the banana yellow shirts didn’t have to rope-a-dope for very long. It was like watching my cat play with a captured field mouse. Joely: While Mexico has proven that they can beat Brazil it has always been when they are firing on all cylinders. El Try (as in Mex can keep trying to reach that 5th game) went into this match without two of its best defenders in Nestor Araujo (injured before the cup) and a suspended Hector Moreno. That was just too big a handicap to contain a Brazil side that are candidates to win the Cup. As historic as beating Germany was I feel that losing the last two World Cup games, with a minus five goals differential, and without being able to score plus South Korea also defeating the Germans puts a dent on what was the Golden Generations last hurrah. JJ: You are correct. The final tally was not pretty 3 for, 6 against, and more than 200 minutes without scoring. It was Mexico’s lowest goal output ssince 1978, where they went winless with a -10 GD. Los muchachos started white hot and cooled off to the point of petrification. And, yes, the Golden boys did not paint themselves in glory, for probably the last time. Once again, the very loyal Mexico fans will be asking themselves what needs to be done to make the jump. The same questions they have been asking since 1994. However, the more pressing issue for Mexico is generational roster restocking. Moreno, Layun, Guardado, Herrera, Chicharo, Vela, Peralta, Gio, Jona, et al will need to be phased out over the next few years and should not figure for spots in 2022. The good news for Mexico is that 4 players: Chucky, Gallardo, Machin and Salcedo were among the bright spots for Mexico. And Ochoa as a keeper has 1, maybe 2 World Cups left in him. But he cannot be asked to make 25 saves again. Great stat, but tells a terrible story. Joely: Well Yon, Mexico can’t hope to compete against the elite teams when they only have a handful of players getting regular playing time in Europe’s top leagues or its youth rotting away in the bench in a local league that is dependent on foreign talent. With that set up Mexico fans will always be hoping El Try can punch over their weight. That said, Mexico has plenty of good to build upon. They just have to have two goals to strive for that will help them get to that elusive fifth game. And that is get as high as ranking as possible to be a seeded team in the next World Cup and then win their group. Mexico has managed both things before just not at the same time. So, it is very possible to achieve these things. JJ: It may be possible, but it is not going to be easier. As we mentioned, Mexico will need to overhaul the roster while not playing a Copa America or as many “quality friendlies” because of the upcoming Concacaf Nations League. But the point is taken. 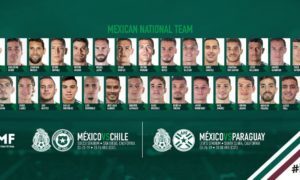 Mexico needs to have as many players as possible compete regularly in the top leagues for the national team to improve. The way that happens is more players must play regularly wherever they can. And if that means they make the jump from Liga MX or MLS, so be it. It shouldn’t matter from where one makes the jump. But they have to make the jump. Let us not lose sight of the fact that there are more Argentines playing in Liga MX than Mexicans playing in Europe. What about coaching, does FMF keep Osorio, or do they put an end to the Osorio era? Joely: That is a though one Yon. Another question to ask is does JCO even want to remain. He doesn’t seem to be enjoying his time in Mexico. Up until the Germany match the bulk of the fans and media were calling for his head. My gripe with Osorio is that Mexico failed to win 4 of the 5 knockout matches with him at the helm. Moreover, in most of those games the team crashed spectacularly. Winning those type of games is key in helping Mexico get seeded at the next World Cup. On a positive note he has a good grasp of the region and its rivals which is a big plus going into the next qualifying cycle that is promising to be more difficult with many teams like the U.S coming into their own. A part of me would like JCO to remain and have a full cycle and control of the U-23 to implement his ideas and another feels that the team needs a motivator more than a coach. JCO even acknowledged this by bringing in (head shrink) Ibarrondo to help the players mentally, but that didn’t seem to be much help. 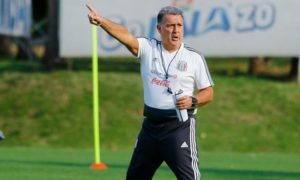 In the past we have seen how coaches like El Vasco Aguirre and even Piojo Herrera have gotten some rely good results out of the mexican national team with their infectious bravado. JJ: The not winning any knockout games is a huge black mark for me. It is very unfortunate because I like just about everything else he has done. His planning and organization are impeccable. Minor changes made a big difference during qualifying. He cut down on the players’ travel. He got the Azteca to sing again. He had faith in his players. And that is how I feel about the Osorio era. He helped Mexico become a first class organization but struggled when it mattered most. He had 3 years and 4 tournaments, and nothing to show for it. Time for another to walk the plank. Joely: Well then, I’m sure Matias Almeyda is rubbing his hands in aticipation. It was rumored that the Argentine’s agent was approached before the start of the World Cup. Matias remaining in Mexico after Chivas unceremoniously sacked him adds more fuel to the fire. His popularity which borders on rockstar in Mexico would certainly help the Tricolor fans remain excited and willing to overpay for glorified friendly games. JJ: Well, FMF is and always will be about the money, so that ticks a very important box in his favor. He does have the added bonus of faring well in tournament play. He may not be as polarizing as Osorio, that is, until he loses. Then it will be Fuera Pelado. Let’s wrap it up, Joel. Who are your top 3 Mexico World Cup players? Mine were Ochoa, Salcedo, and Machin. Edson Alvarez may have figured in some of Mexico’s worst plays, but his ceiling is sky-high. Joely: I’m with Ochoa as well. He has been brilliant in his last two WC tourneys. And Salcedo was another of my favorite players. He gave an eerie announcement via twiter recently about considering his future with the national team. And last but not least Chucky Lozano. I don’t think he played to his full potential, but he is shaping up to be a real threat and I hope he continues to grow. JJ: And with that we bid adieu to another World Cup for Mexico. We’ll talk again, Joely.